2015 was a difficult year for so many. Losses, heartaches, business mistakes, financial struggles, and health goals not met. For some, 2015 was the best year of their life. A new love, business goals met, a new career, health goals achieved, debt paid off. We all live the same year, but can have two different outcomes – two different stories. When I’m coaching or facilitating, I teach that whether your story happened 1 year ago, 10 years ago, 20 years ago, or yesterday, does not define what your future will be. If 2015 didn’t give you all of your desires, wishes, and goals, today is a new day to make it better. 2016 is a new year to take all the necessary steps to achieve everything that lights up your soul. Nothing else matters, but what you desire today. It is okay if you had an amazing 2015 and this year has started out a bit rocky. It is okay if 2015 was your worst year and now you want to move forward and rewrite your story. It is okay if you made a choice that took you down a negative path. Today is a new day to make a different choice. It is okay if you didn’t reach your health goals, or fell off the healthy eating wagon. Today is a new day to start again and have one healthy meal be your baby step towards achieving your health goals. It is okay if you got angry, impatient, frustrated, or felt hate towards someone or something. Today is a new day to let go of the anger, practice being more patient, and send love. Today is new day to forgive yourself for everything that you think you should have done, said or didn’t say or do. 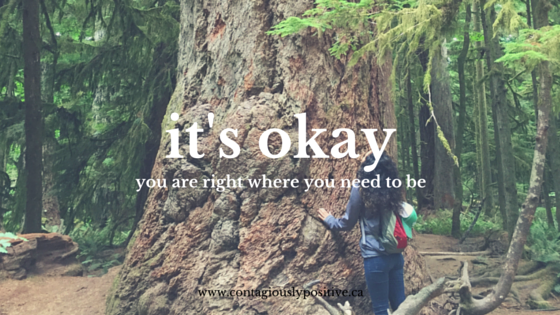 Today is a new day to remind yourself that IT IS OKAY. Say goodbye to 2015, send it love and say hello to 2016 with the intention that you are going to make it your best year ever.